VombatCombat joined the project with a pleasure. Poster art entails the right to think big and bold. We love it! 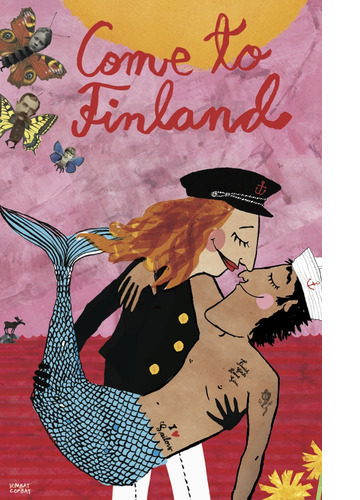 With the poster we wish to show that Finnish women are strong and independent, full of sisu, that is perseverance. 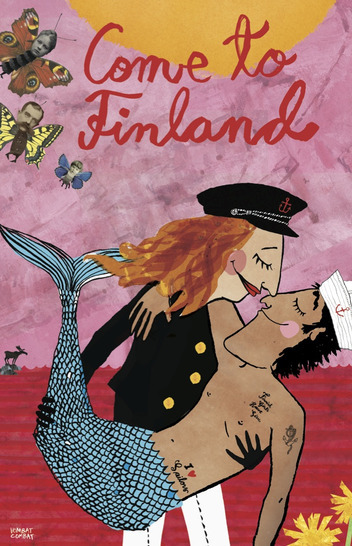 The captain demonstrates that Finland welcomes refugees with love and open arms. Spring is a time for light and love– it is a magical season not only in Finland. Light is enchanting/miraculous after a long and dark winter.